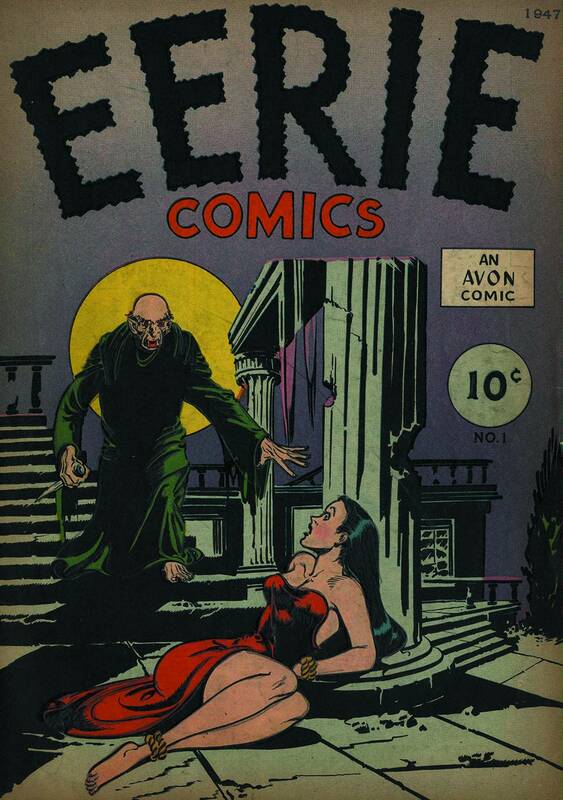 Eerie Comics #1 was the first horror comic. It eventually ushered in an entire genre as well as a regular series of the same name. Overstreet lists this as the most valuable horror comic. Joe Kubert and Fred Kida are among the contributors. This replica is authentically restored and includes all ads and editorial content. Full color.